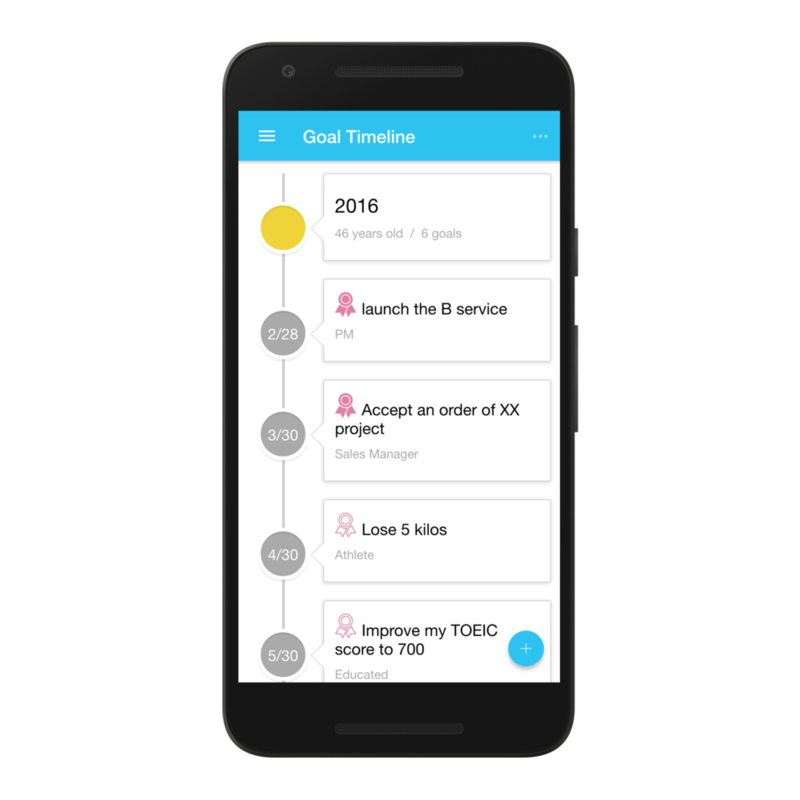 Dreamscope is a cloud based task management app. And it allows you to control your life without struggling with many tasks and make your dreams come true efficiently. Since Dreamscope consists of Web/iOS/Android applications, it's available on various devices and platforms such as iOS, Mac, Android, Windows. Anyone can use Dreamscope via the internet. As for the Web application, access to the front page of Dreamscope. And click "GET STARTED" at the center of the front page. As for iOS/Android application, tap "Sign Up" on the top page. Tips : By clicking the flag icon in the right side of the goal title, the goal is displayed in the multi-year plan view("Flag" view). First, imagine what you want to be at a certain time in a few years and set it as a goal. Next, set milestones to achieve the goal backward in time. It's very important that you feel free to imagine your bright future regardless of your current situation. While most people think about their life as an extension of their daily lives, the way of thinking will not bring you the significant success. What you imagine here is the future in a few years. Make your "goal timeline" not thinking about your goals as an extension of your current situation but keeping broadening the possibility for your life in mind. The filtering feature enables you to see only what you want to see. 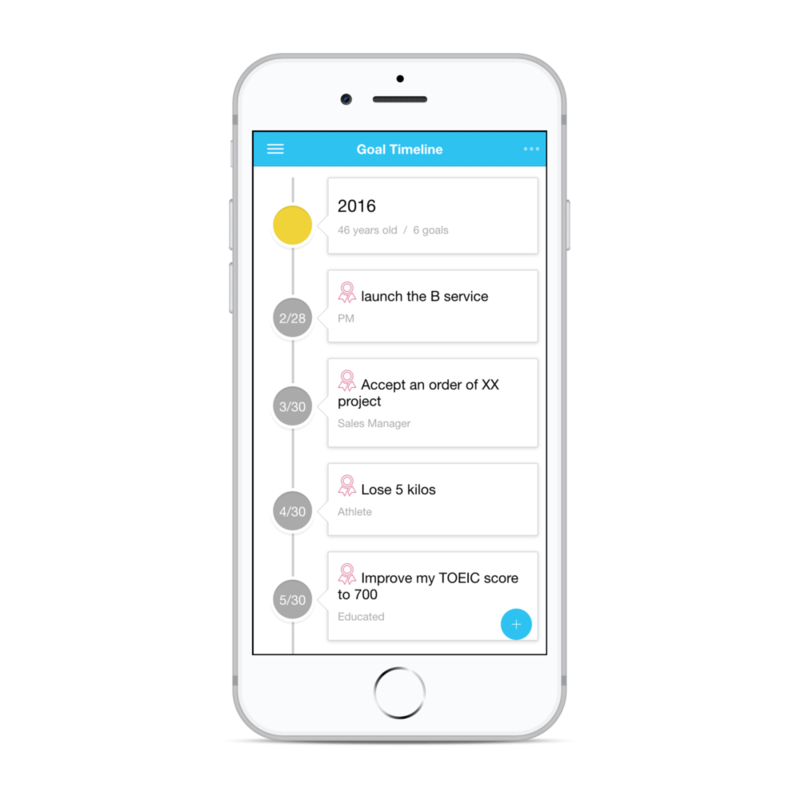 In the example below, tasks in the "launch the B service" are shown. 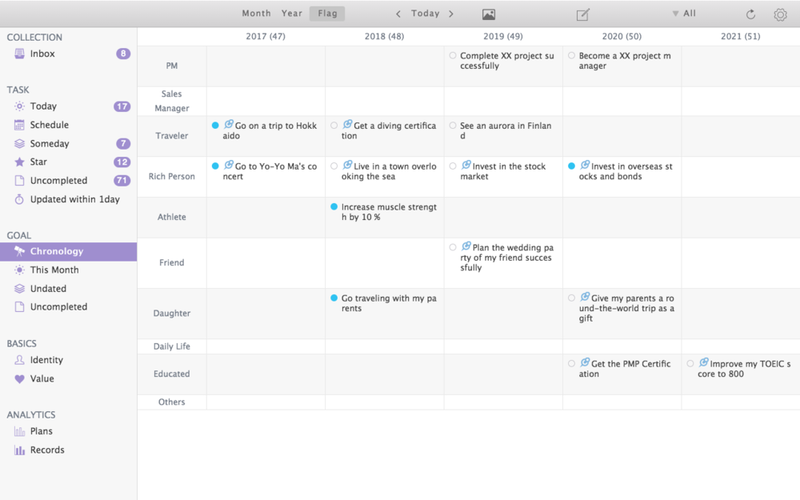 Schedule tasks while seeing the required time per day. You can update the date of multi tasks. The ways of updating the date of multi tasks are as follows. The analytics view enables you to see the transition of the total amount of required time for each day. 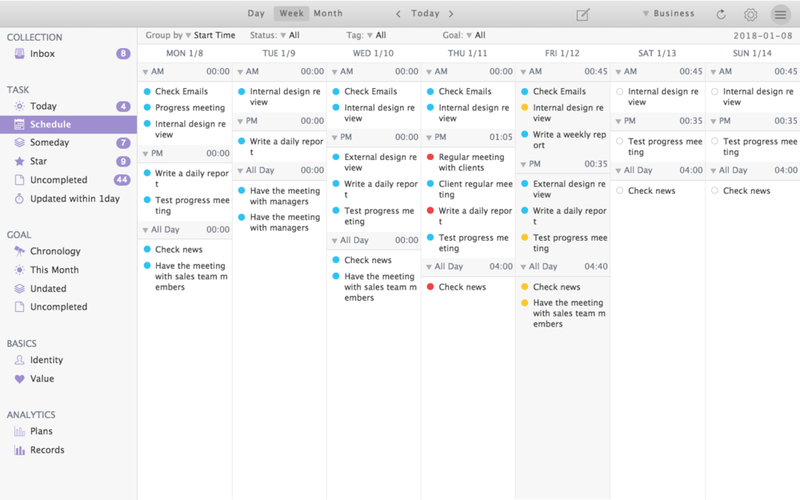 Refer to the analytics view when scheduling tasks. The chart below is the transition of the total amount of the required time for each day. The meaning of the colof of the checkbox is as follows.